"Hey, my name is Eric, I'm from Rancho Cucamonga, Calif. This is a picture of my girlfriend, Danielle, and I before finals retreat. 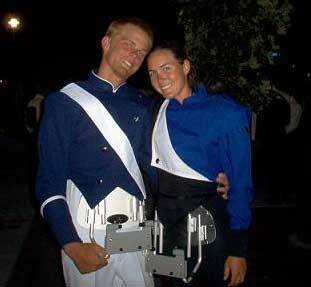 She marched in the Blue Knights' snare line this summer, and I marched in the Bluecoats' snare line." Thanks Eric!